Looking for a USED K400S SERVO MOTOR INJECTION MOLDING MACHINE? 1.Box-board structure ensures even stress, less deformation, higher precision of clamping molding and good rigidity. 2.Optimized design of tie bar ensure fast& stable movement, and with less impact. 3.Lengthened distance between tie bar, mold thickness and opening stroke for more flexibility of mold using. 4.Optimized lubrication system ensures the life time and precision of clamping mechanism. 5.Speedy differential clamping function satisfies the special requirement of movement. 2.Fast response injection and sealing structure. 3.Movable hopper slide allow more convenient and speedy material change. 4.PID or percentage control for nozzle temperature control. 5.5 stage injection, 3 stage holding pressure, 3 stage plasticizing control satisfying different product requirements. 6.Precise material temperature control ensuring product quality. 1.Japan Sumitomo gear pump, high efficiency, low noisy, easy maintenance. 2.Famous brand servo system packaging with unit parameter and standard. 3.Close loop control for pressure and speed, the RPM and torque can be real-time adjusted, resulting in excellent repeatability. 5.High performance redundant power design. The power of motor is up to 10% higher than counterpart in the industry, avoiding motor over-heating or auto stop due to insufficiency of power. TEKWELL Machinery Co., Ltd , a high-tech corporation, is specialized in R&D, manufacture and sale injection molding machine. TEKWELL is located on the high-end injection molding machine production region --Shunde, Guangdong, and consisting of a group of professional technology, production and quality management elites. Moreover, TEKWELL has her own casting factory. TEKWELL is committed to providing customers with high-efficient, stable injection molding machine with reasonable price and good-quality after-sales service. Now we have over 20 offices in Southern China, Eastern China, Northeast and multiple oversea offices . 24 ModelsView more about TEKWELL Machinery Co., Ltd. 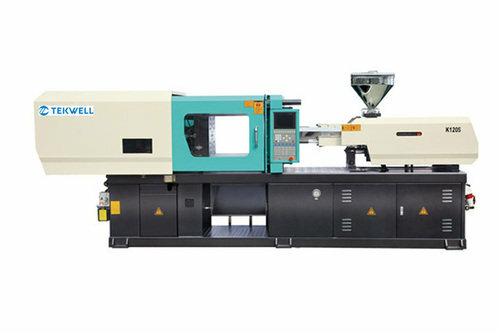 Looking to Purchase a New TEKWELL K400S SERVO MOTOR INJECTION MOLDING MACHINE?